If you need urgent foot care or have an urgent toe or foot injury or ankle injury or infection of a toe, your foot or your ankle and you need urgent treatment, please call our friendly, award-winning podiatrist office (we won “Best Podiatrist” by the Post-Tribune and “Best of the Region” an amazing nine times!). Read patient reviews by clicking here. Our foot and ankle doctors provides urgent foot care and urgent toe and foot treatment and urgent ankle treatment. Call us today to see one of our friendly, caring podiatrists at our Northwest Indiana podiatry office. If you have an urgent problem, please tell our friendly receptionist you have an urgent problem and she will try to get you a same day appointment. Our Northwest Indiana podiatrist office is open at 8 am Monday thru Saturday (every second Saturday) and our dedicated staff and podiatrists will do their best to get you urgent foot care and treatment and urgent ankle care and treatment. Urgent foot care and urgent ankle care means treatment for a foot injury or ankle injury or nearly any toe, foot or ankle injury; or a foot infection or painful ingrown toe nail or infected ingrown toe nail or for gout pain or a gout attack or gout flare up. Our Northwest Indiana podiatrist office treats people who need urgent foot care or urgent ankle care from Valparaiso, Crown Point, Merrillville, Schererville, Griffith, Dyer, Gary, Portage, St. John, Schererville, Highland, Lowell, Chesterton, Cedar Lake, Wheatfield, Hobart, Hammond, Munster, Lafayette, Michigan City, Kouts, East Chicago and Valparaiso, and Chicago! Call us today or make an appointment now – CLICK HERE! Urgent foot care or urgent ankle care or immediate care problems our doctors provide expert treatment for include a foot or toe infection, an ankle sprain, a foot fracture, a foreign body in the foot or a puncture wound in the foot, a banged toe, a smashed toe (or a broken toe or fracture of the toe), a foot fracture, a ankle fracture, a diabetic foot or toe infection or diabetic foot injury, foot pain, heel pain or toe pain, a tendon tear (or torn tendon), a painful ingrown toe nail (and a swollen or infected ingrown toe nail), gout or gout attack, bone infections and most other urgent care foot or ankle problems. The first thing our friendly staff will do is take an x-ray of your foot or ankle. 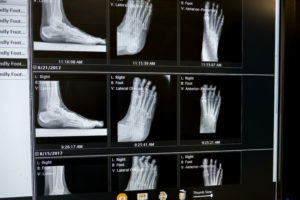 Our Northwest Indiana office has on-site digital x-rays to immediately determine if your foot, heel or ankle has a fracture or other bone problem. For gout pain or a gout attack (gout flare up), our Northwest Indiana podiatrist, will work to alleviate the gout pain (gout attack) as quickly as possible. 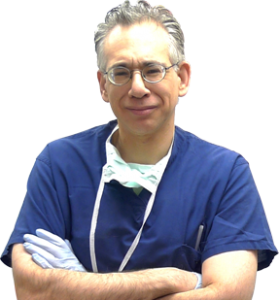 We know how painful gout can be and we will get you in quickly. The sooner a gout attack or gout flare up can be brought under control, the sooner you will have relief from the gout pain. Gout pain and a gout attack can not only cause pain during the attack or gout flare up, but if gout continues you can be at risk for the gout crystals injuring the joint. Ongoing gout or repeat flare ups of gout or gout attacks can actually cause the joint in your big toe or great toe (or other joints) to deteriorate and become arthritic. Typically our Northwest Indiana podiatrist office sees gout in the great toe or big toe joint, but gout can occur in just about any joint in the foot or ankle. Gout causes severe pain and may also appear as the big toe (or other joint in the foot or ankle) becoming red, swollen and hot (or warm) to touch. Some people describe a gout attack or gout flare up as throbbing. The lightest touch to the great toe (big toe joint) or the affected area, can cause severe pain. Gout which goes on for a long period of time or gout attacks that occur repeatedly may lead to deterioration of the cartilage of the joint. If you have ongoing gout attacks the joint that suffers with the painful gout attacks can become sore and arthritic. So even if you are not having a gout attack the joint may still have a certain level of pain or discomfort. 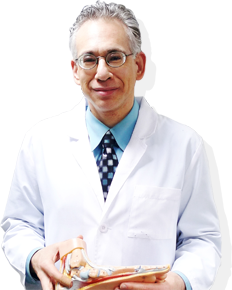 If you have gout, call us immediately for urgent foot care or urgent ankle care, so our foot and ankle doctor can start treating you and alleviate the pain. Call now at (219)663-2273 and tell the receptionist you are having a gout attack or gout flare up and require urgent foot care or urgent ankle care – and often a same day appointment. Our Northwest Indiana podiatrist office provides treatment who need urgent foot care or urgent ankle care, such as gout or gout attacks, from Michigan City, Valparaiso, Crown Point, Merrillville, Schererville, Griffith, Dyer, Gary, Portage, St. John, Schererville, Highland, Cedar Lake, Wheatfield, Hobart, Hammond, Munster, Lafayette, Michigan City, Kouts, East Chicago and Valparaiso, Lowell and Chicago! 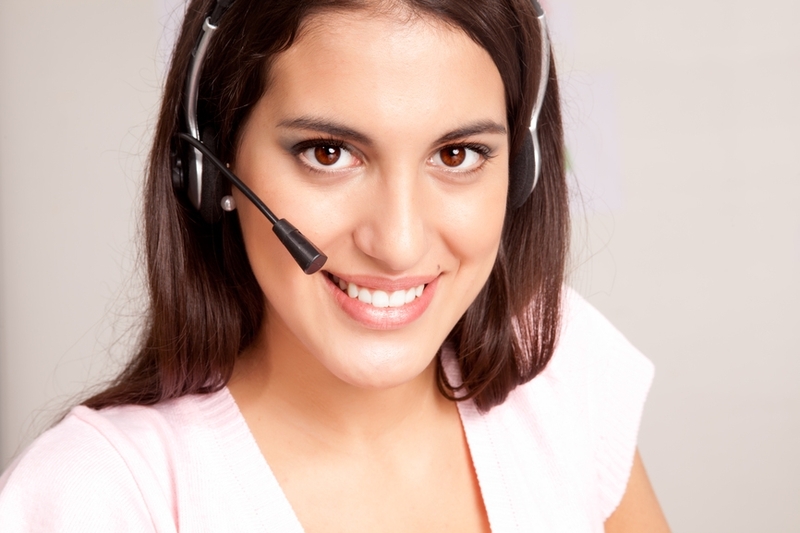 Call us today or make an appointment now – CLICK HERE! Our foot doctors provide urgent foot care and urgent ankle care for most diabetic foot problems. In particular, diabetic foot infections and diabetic foot problems are a big part of our practice. Diabetic infections and problems should be seen by a podiatrist promptly. Persons with diabetes are at higher risk for diabetic foot infections or diabetic foot sores that can become infected. As a result, diabetic foot problems often require you to seek urgent foot care. A diabetic foot infection can start off as a blister on the diabetic person’s foot and the blister can turn into a sore or infection very quickly. For a person with a diabetic foot infection it is important to see our podiatrist promptly. Diabetic persons with a foot problem, such as a diabetic foot infection, redness, or a diabetic sore, a diabetic blister, or another foot injury, needs to make sure they keep their blood sugar under good control to help with healing. Diabetic patients should see our podiatrist for their foot problem and at the same time, the diabetic patient should work with their family doctor or their endocrinologist to make sure their sugar is well-controlled. If you are diabetic and you are not sure about your blood sugar level (glucose level) our Northwest Indiana podiatrist office can order a blood test to evaluate your diabetes for you. For a diabetic infection of the foot (including the toe or heel or ankle), urgent treatment is necessary. A diabetic foot infection should be evaluated by a podiatrist as soon as possible. Even a small ingrown toe nail or other toe problem or simple blister can rapidly become serious for a diabetic person. 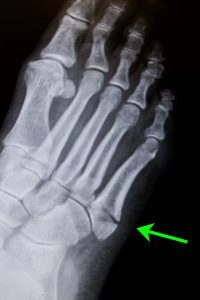 For some people, a diabetic foot infection or problem in a diabetic person can progress to a bone infection, gangrene or even result in an amputation. If you are diabetic it is important your toe, heel or foot problem is seen by our podiatrist as soon as possible. Be sure to explain your situation to our friendly receptionist and she will try to get you a same day appointment. Athletic foot and ankle injury or sports injury of the foot or ankle is common and these often require urgent foot care or treatment, and urgent ankle care or treatment. If you have a sport medicine injury of the foot or ankle or sports injury of the toe, heel, foot or ankle, including an ankle sprain, please see a foot and ankle doctor (podiatrist) at our office for treatment as soon as you. 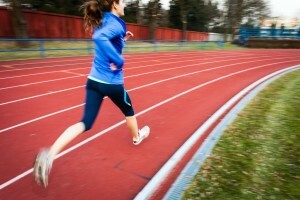 It is important you evaluate the foot or ankle injury or sprain promptly and get urgent foot care or urgent ankle care. By obtaining treatment for a sports or running injury of the foot or ankle early with a foot and ankle doctor (podiatrist) at our Northwest Indiana office you can prevent the foot or ankle injury from worsening. Generally, the sooner a sports or running injury of the foot or ankle is treated, the sooner our foot and ankle doctors (podiatrists) can help resolve the pain and problem and the sooner you can get back running or performing the sports you love. Some sport injury problems of the foot and ankle our podiatrist office provides treatment for includes: ankle sprain, ankle fracture, foot fracture, toe fracture, tendon tear, ankle instability or ankle weakness (ankle “gives out”), plantar fasciitis, heel pain and more. Often if your foot or ankle injury or infection needs urgent or immediate care, we can get you an appointment the same day you call us or very soon. There are times we may be able to see you sooner than the emergency room or an urgent care center. Emergency rooms may also charge you much more to treat your foot or ankle injury or foot or ankle problem than a podiatrist (foot and ankle doctor) with our Northwest Indiana podiatry office. Our Northwest Indiana podiatrist office (foot and ankle doctor office) is conveniently located on Broadway in Crown Point, and we offer state-of-the-art foot and ankle injury technology to thoroughly evaluate and treat your foot or ankle injury, ankle sprain, fracture or infection. Further, the emergency room wait time may be much longer than just coming to see our foot and ankle doctors (podiatrists). Our foot and ankle Northwest Indiana podiatrist practice treats foot injury and pain, ankle injury and pain, and heel and toe injury and pain for people from Michigan City, La Porte, Merrillville, Schererville, Valparaiso, Hobart, Lafayette, Kouts, Dyer, Portage, Gary, Dyer, Highland, St. John, Cedar Lake, Griffith, Lowell, Wheatfield, DeMotte, Rensselaer, Hammond, Munster and Chesterton. If you have a foot or ankle injury or foot or ankle sprain or other foot or ankle problem, call us today at (219)663-2273! 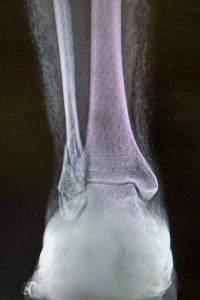 Digital x-rays to diagnose a foot or ankle injury quickly and thoroughly. By using digital x-rays, our podiatrist sees more detail than conventional x-rays provide, allowing a foot fracture to be identified quickly. Digital x-rays also use less radiation than ordinary x-rays. Additionally, we provide weight-bearing x-rays (standing x-rays) or non-weight bearing, depending on your foot or ankle problem. Computerized circulation testing to diagnose vascular or blood flow issues. Circulation problems can occur in anyone but this testing may be especially important in a diabetic with an infection or gangrene. Poor circulation or PAD or PVD is an important issue in alleviating foot problems and foot pain. Diagnostic ultrasound to help diagnose a torn tendon (or tendon tear) quickly. Diagnostic ultrasound is much less expensive than a hospital MRI and often we can find out if you have torn a ligament or tendon or if an infection has caused an abscess in your foot. The bottom line is you may be able to save time, money and get relief from your ingrown toe nail, toe, heel, foot, or ankle pain faster by receiving treatment promptly from a friendly, caring podiatrist at our Northwest Indiana office. Call us today for urgent foot ankle care or immediate care. Please explain to the receptionist that your foot, ankle, heel or toe problem or pain requires urgent care or immediate care. She will do her best to get in quickly and try to save you a trip the emergency room. We accept most insurance, including Workers Compensation (Work Comp), and have a cash price for people with no insurance. Our cash price fees for treatment are reasonable, affordable and likely will be much less costly than an emergency room visit. Plus, our podiatrists treat most any injury to the heel, foot, ankle or toe every day and all day (the emergency room doctor may not be able to say this). If you hurt your toe, foot or ankle at work (or on job) our podiatrists will work with you and your Workers Compensation carrier (and your employer or job) to get you urgent foot care and ankle care and treatment. This will include the diagnosis your foot or ankle injury, treatment of the work-related foot or ankle injury, and working with you and your employer to get you back to work as quickly as possible. If you need foot or ankle surgery, we work with an accredited surgery center and several hospitals. Let our Northwest Indiana podiatrist office provide you the immediate or urgent toe, foot, ankle or diabetic foot care and treatment you need – call use today at (219)663-2273. In the event our office is closed or unable to see you urgently or if you have a life-threatening or limb threatening emergency, go to the nearest emergency room or call 9-1-1. Never delay treatment of a serious problem. If you are not sure if you problem is limb or life threatening, do not take a chance – call 9-1-1 or go to the nearest emergency room. Our Northwest Indiana licensed podiatrist practice treats foot injury and pain, ankle injury and pain, and pain for people living in Michigan City, Dyer, Highland, La Porte, Merrillville, Schererville, Valparaiso, Hobart, Lafayette, Kouts, Portage, Gary, St. John, Cedar Lake, Griffith, Lowell, DeMotte, Hammond, Rensselaer, Munster and Chesterton. If you have a toe, heel, foot or ankle injury, sprain, strain, fracture or another toe, heel, foot or ankle problem, call us today at (219)663-2273!